Office screens are perfect for helping you manage and organise your workspace. Privacy is sometimes a problem, especially in open-plan office spaces. It can cause stress and distractions for employees, that is why we offer highly durable and functional office screen partitions to help solve this. Creating a sense of privacy and personal space in the office does not have to be expensive. Desktop office screens and floor standing office screens are a convenient and cost-effective way to create zones and privacy within an office space. Our online catalogue features a large selection of office dividing screens including desktop dividers and freestanding movable office screens. 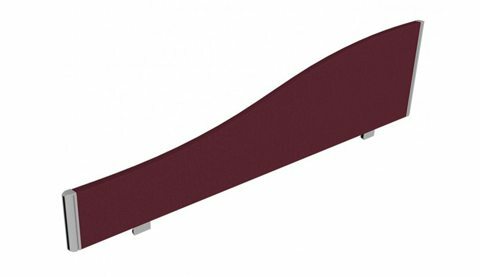 The desk divider panels are offered in straight waved and curved designs with a choice of fabric, mesh or acrylic finish in a variety of colours. 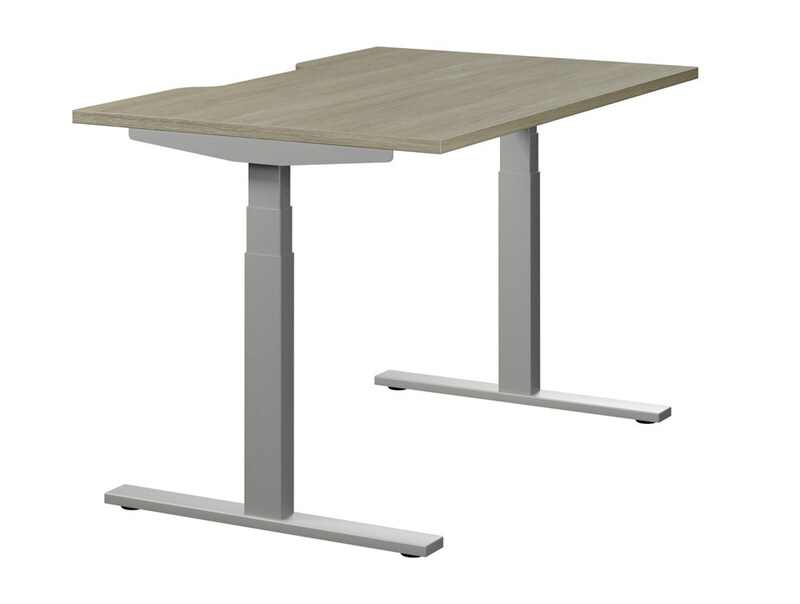 The desk dividers come in many sizes from 800mm to 2400mm which can be easily connected ad mounted to your existing tables. 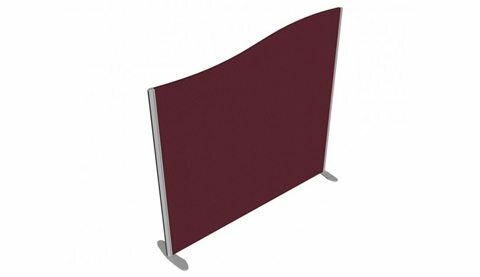 Choose from freestanding screens with a wave, curved or straight top design. The floor-standing partitions are upholstered in a choice of fabrics in many colours and are offered in an array of sizes ranging from 600mm to 1800mm with height options of 1000mm to 1800mm. A wide selection of our office screen partitions for sale is offered with a warranty policy, meaning its functionality and durability s guaranteed for the stated period of time. Working in an office can sometimes present many distractions, especially when there are many people working around your desk. 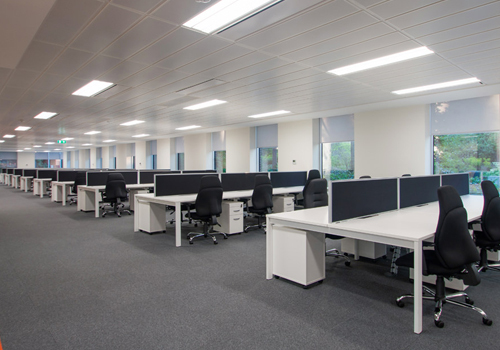 Desktop screens are the perfect solution to creating a sense of privacy in grouped desking arrangements. The desk dividers can be easily mounted to the table using clamps and can also be easily removed allowing you to rearrange your desk designs whenever you please. Some of the desk partitions on offer boast a linkable design, letting you create the specific length of desk separator to meet your needs. Incorporating privacy screens for office desks is essential as it gives employees their own space to work and help reduce distractions, allowing for a more productive workday. It also keeps private files safe and protected from prying eyes! Some desk dividers are also designed with an aluminium base rail system which can hold a range of accessories like pen holders and computer screen mounts. Another advantage? Desk screens add a sense of style and brightness into your workspace. Offered in an array of vibrant fabric or acrylic colours, you can match the colour of your office desk dividers to your company colours. The freestanding office partitions are great for making the most out of your office space. 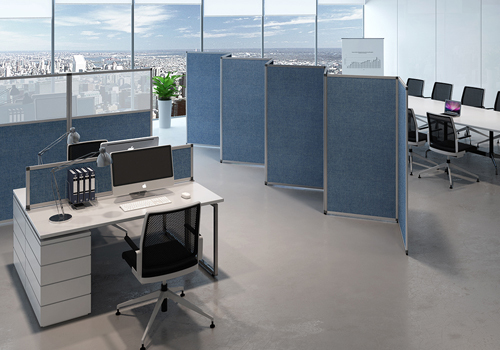 The screens are very easy to install and can be used to create individual cubicles in the office or can be simply connected to each other and act as a separator. 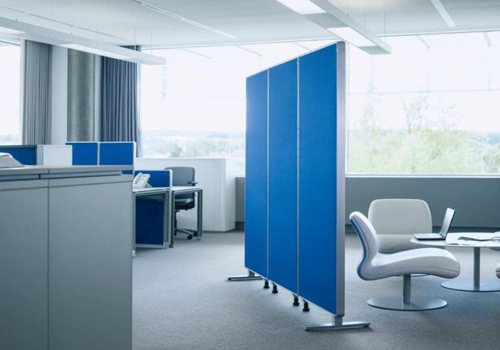 The freestanding partitions are a more ideal and affordable solution to creating zones in the office compared to the traditional fixed partitions. They can be easily moved around which allows you to change your office layout design whenever you want so you will never be bored of your office design. The floor standing screens can also act as a barrier when it comes to noise around the office. The wall-like structure helps to block out noise reverberations that travel across an office space helping to reduce the amount of noise pollution. The office freestanding dividers are offered in a variety of colours allowing you to match it with your brand colours and brighten up your office décor, creating a welcoming environment for your visitors and employees. If you’d like to find out more about our range of Screens or discuss your requirements, simply request a callback.